It’s non-debatable that PrestaShop has already acquired a great fame in world’s top most eCommerce solutions. PrestaShop is an open source web application which is committed to providing the most hassle free eCommerce experience for the merchants and the shoppers. The highly popular software which is written in PHP and is very easy to use; is now available on Microsoft’s Azure Marketplace. Earlier PrestaShop was considered as an ideal solution for launching a medium range eCommerce site with a medium range of products and templates to be handled without any hassle. In terms of scalability, it was somewhat lagging behind some other eCommerce platforms like Magento. 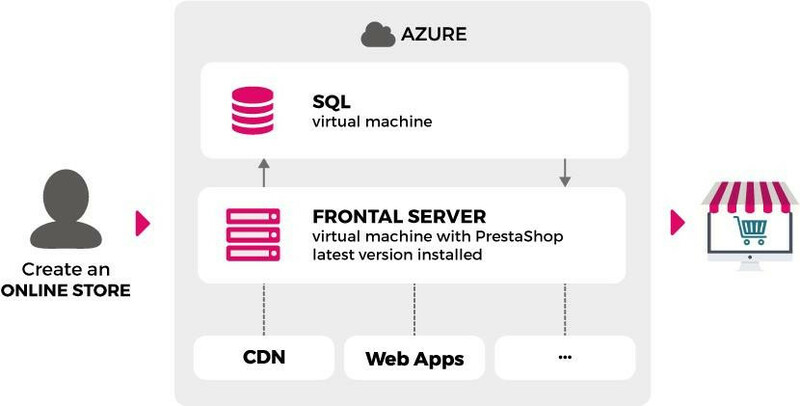 With the introduction of PrestaShop on Microsoft’s Azure marketplace, PrestaShop has shown its intentions to nullify this drawback completely. In fact, just this simple introduction has already eliminated most of the drawbacks in PrestaShop’s scalability. How? We will learn in the later part of this article. First of all, let’s concentrate on what’s all the buildup about? And what is the Microsoft’s Azure marketplace exactly? Microsoft Azure is a could solution by Microsoft, it is a platform that supports both the open source and Proprietary software to be hosted on it. Structure of Azure cloud services. Powerful data centers- The benefit of using a Microsoft Azure cloud services is that you get to use the powerful Microsoft-operated data centers across the globe. 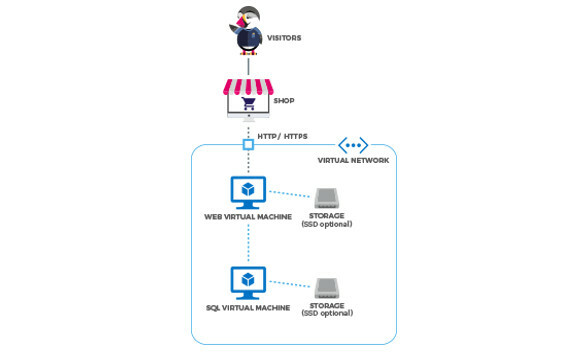 Scalable ecosystem- It really does not matter if you have a small, medium or a large PrestaShop store; the Azure ecosystem is competent to handle them all in just a few clicks. More secure- You will get the trust and security of Microsoft’s hosting even on PrestaShop. Other Popular solutions like WordPress, Magneto, Joomla, Drupal Kick-start commerce have already adopted the support to Azure ecosystem. Seasonal peaks and valleys- You don’t have to worry about the seasonal peaks and valleys anymore. With the increasing and decreasing traffic on your site, Azure will scale your site’s competency in just a few clicks. Scale internationally- With Microsoft’s 24*7 support, it’s an opportunity to scale the business in more than 140 countries internationally. This new partnership with Microsoft will provide the large PrestaShop community with more advanced ways to grow their online business. The current R&D promises to innovate new Prestashop Addons and modules which would be based on AI and Machine learning. Even it promises to support some already available Microsoft’s products to benefit the customers with this increased compatibility and scalability. Two types of services in PrestaShop-Microsoft azure partnership. The virtual Machine version of the service contains Ubuntu 14.04 LTS which has pre-installed Apache, MySQL, and PHP. The virtual machine configurations are competent to meet the requirement to run the PrestaShop web application. How the installation goes ? When you connect to your web server for the first time, you will be prompted and directed to the PrestaShop installation wizard automatically. After you complete the installation, like any default PrestaShop installation, it is recommended to remove the “install” folder for security reasons. And that’s it! You are ready to launch your eCommerce site on the go. The virtual machine is a more secure, accessible, scalable and cloud version of your hosting service. You can do all that you have been doing on your earlier hosting. PrestaShop can still be customized both through PrestaShop modules and themes. It’s default components and behavior can still be overridden to produce custom modules and themes. All the PrestaShop modules can be installed on the virtual machine like before. The PrestaShop Advanced Template is a special service in this new partnership which is recommended for the medium-sized PrestaShop sites. It is recommended for those heavy sites which require more than one Virtual Machines to scale their availability. This implementation is done to increase the scalability of the hosting capability with an increase in the scale of the site. The front-end server consists of Ubuntu LTS, Apache, and the PHP-FPM. With this service to the same kind of flexibility and custom module support is being provided by both the giants. The difference between the single VM system and advanced PrestaShop support is that in the later you will get a three-tier topology to choose according to you business scale. Structure of Virtual machine topology. For medium scale: A2 Web virtual machine + D1 SQL virtual machine with solid state drive and 60 % faster. With this increased scale of business, the Microsoft-PrestaShop partnership seems to be a new era of scalability of the PrestaShop platform. Hopefully, this partnership would encourage even the third party developers to come up with more advanced and intelligent PrestaShop modules in the future. According to PrestaShop, a continuous R&D is already going on to launch some really intelligent modules with AI and machine learning capabilities. 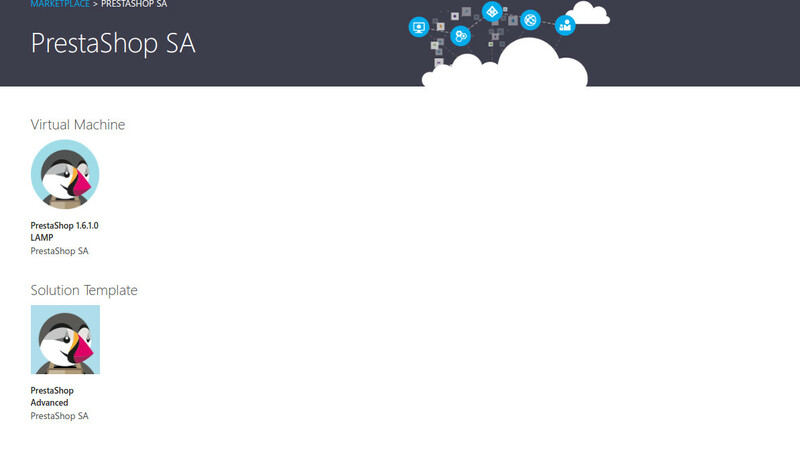 The pricing for the hosting can be seen on the Microsoft Azure.